About those born under the Pisces constellation is said to get honors tradition by themselves, rises through the arts, sciences and literature. Becomes popular through the success of their works. Pisces gives a certain restlessness, a self-dissatisfaction urging the restoration works started, the natives are prone to pessimism) - this governs their impressions and how to see. Possesses a double nature, very difficult to decipher. They have a spirit as strong, participatory, poetic and contemplative, manners convenient inclined pleasures pride. The will is firm but volatile, despotic, but gently, authoritative without tyranny. Prudent, difficult to close, discreet and with humor. Tend to be sometimes caustic, but always spiritual and harmless. It touches hard, as hard calm, but after revenge, do not keep grudges, skill, alertness, vigilance. People born under the sign of Pisces or Ascendant in Pisces is ruled by Neptune (traditional governor) which makes it gentle, dreamy, imaginative and influential. If that person undertakes a spiritual research, it is placed under the influence of Pluto, as governor esoteric and hierarchical helping her to develop sensitivity, positive thinking, creativity and psychic qualities. Colors: Aqua Green, purple Anatomy feet inside legs, heels, soles, lymphatic system, body fluids and nerves Social: leadership skills only in the transition between two social structures, trades that need pity, compassion, mercy. Material: earnings received from native endowments. Mental: harmonization of the individual in relation to society and faith in God. Emotional: overview of the relations, fate judged in terms of emotions, sometimes seclusion, humility, suffering. Governor (planet) traditional Pisces: Neptune Governor hierarchy: Pluto Characteristic verb "believe" ("I believe") is the essence of sensitivity, dreaming what might create difficulties in solving Lucky Numbers: 2 and 6 Gemstone: Aquamarine Metal: Tin Lucky Day: Friday Animals suitable: Pisces Favorable places: open spaces and wide Keywords: compassion, mystery, suggestibility, receptivity, intuition, sacrifice, feeling, indecision, reverie, illusion, devotion, introspection, sensitiveness, inspiration, mysticism, suffering, faith, betrayal, escape, carelessness, superstition Crafts indicated: laboratories, hospitals, prisons, enclosed places. Psychiatrist, healer, teacher, photographer, oilman, fisherman, priest, evangelist, spy, poet, diver nurse. Appearance: medium height, thin and sickly constitution, broad face, pale and dull, brown hair, gray eyes, cold look permanently sleepy little hair. Differences arise through issues and positions palnetare. In interpretation, Pisces is a sign of restriction. It can give you withdrawal, giving up talent for other priorities, diplomacy, deep emotions, but not expressed directly. Unlike Scorpio, Pisces hide good values, qualities, talents that could be triggered in the following remarkable events in life. It's where faith can be stable and which beliefs are most strongly felt and least reported. This segment of the zodiac can provide solutions where no hope for any resolution or native born into life with a power totally special. Inactivity this segment is the lack of will on the show you. 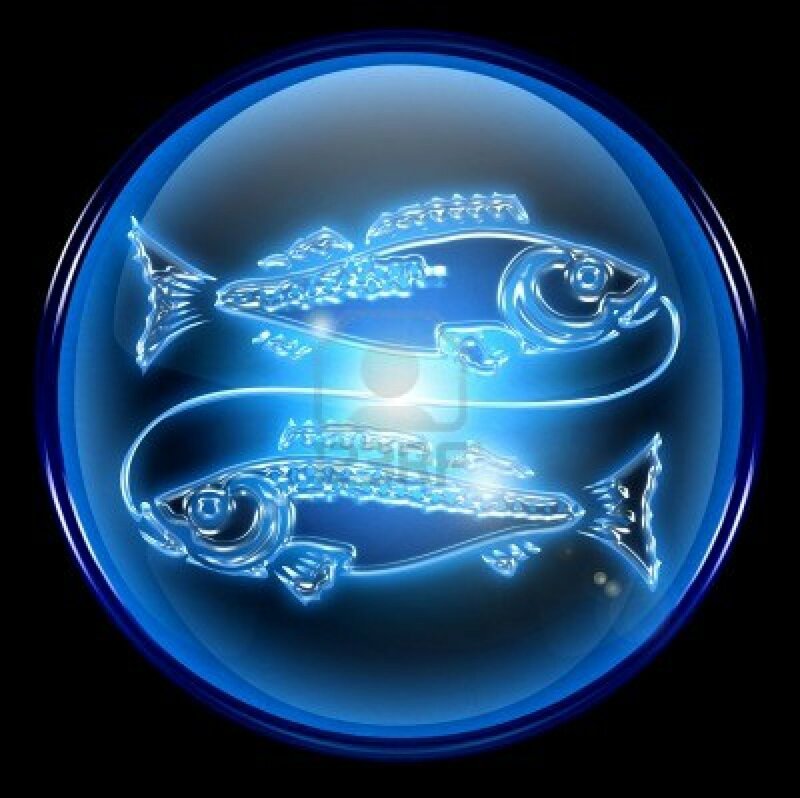 Description: FISH symbolizes nature mysticism and devotion. He is constantly consumed contradictions tearing it and rendering it to be wavering and undecided in his acts. Seemingly quiet actually knead intense and continuous. So often has an air of fatigue and depression. A very generous and kind hearted, always will devote each other, family and friends and will always be ready to sacrifice. Although inspired and good ideas, lack of energy, consumed in his many hesitations, it prevents you from being too active and have too many initiatives, which often gives them a sense of frustration. Inclined to laziness and comfort sometimes pass through long periods of indolence and apathy. They taste luxury and sometimes be unscrupulous in the get, so great is the fascination exercised over them. Are generally shy and reserved and must make great efforts to become more expressive and thus better evaluated by others. In general raise their children with love and understanding, but tend to be too indulgent and spoil you. There are kids calm, that will not worry parents, especially if they will know how to protect them from injury that can make life. It is also better not to come in contact with are violent scenes or narrate their fantasy unlimited things that can amplify and can scare them. Can not say that has exceptional intelligence, but it is very conscientious, and study drew its obligation to impose one learn to not disappoint their parents. Without much vitality, is better for their health to be kept near water (Pisces is a water sign). I love nature, flowers and prove a great attraction especially for dogs. They tend to overeat and not gain weight should be guarded and protected from certain diseases of the digestive system. Appearance: medium height, thin and sickly constitution, broad face, pale and dull, brown hair, gray eyes, cold look permanently sleepy little hair. Differences arise through issues and positions palnetare. In interpretation, Pisces is a sign of restriction. It can give you withdrawal, giving up talent for other priorities, diplomacy, deep emotions, but not expressed directly. Unlike Scorpio, Pisces hide good values, qualities, talents that could be triggered in the following remarkable events in life. It's where faith can be stable and which beliefs are most strongly felt and least reported. This segment of the zodiac can provide solutions where no hope for any resolution or native born into life with a power totally special. Inactivity this segment is the lack of will on the show you. Description: Pisces symbolizes nature mysticism and devotion. He is constantly consumed contradictions tearing it and rendering it to be wavering and undecided in his acts. Seemingly quiet actually knead intense and continuous. So often has an air of fatigue and depression. A very generous and kind hearted, always will devote each other, family and friends and will always be ready to sacrifice. There are kids calm, that will not worry parents, especially if they will know how to protect them from injury that can make life. It is also better not to come in contact with are violent scenes or narrate their fantasy unlimited things that can amplify and can scare them. Can not say that has exceptional intelligence, but it is very conscientious, and study drew its obligation to impose one learn to not disappoint their parents. Without much vitality, is better for their health to be kept near water (Pisces is a water sign). I love nature, flowers and prove a great attraction especially for dogs. They tend to overeat and not gain weight should be guarded and protected from certain diseases of the digestive system.